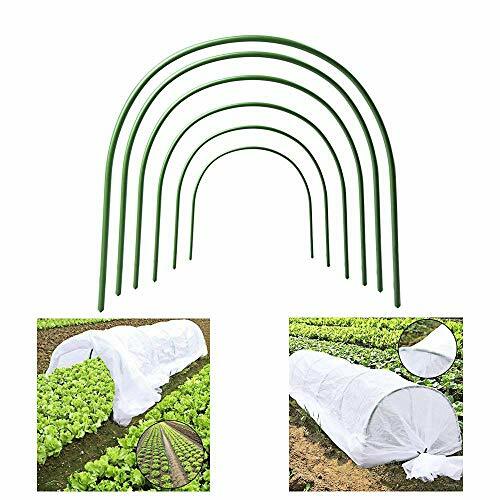 ⚘ LIGHTWEIGHTDURABLE-Protect your crops against insect damage. It can be used for seed germination frost protection. Easy storage grow tunnel,Sides lift for easy access and ventilation. ⚘ UV PROTECTION-High-quality non-woven fabric is UV stabilized and reusable, and allows air and moisture to reach your plants. ⚘ FEATURES-Use hoops to support garden row covers, protecting plants from frost, insects, birds, or intense sun. ⚘ EASE TO USE-Comes complete with spare parts needed for set up. Washable, Reusable, and Lightweight. If you have any questions about this product by AHZZY, contact us by completing and submitting the form below. If you are looking for a specif part number, please include it with your message.